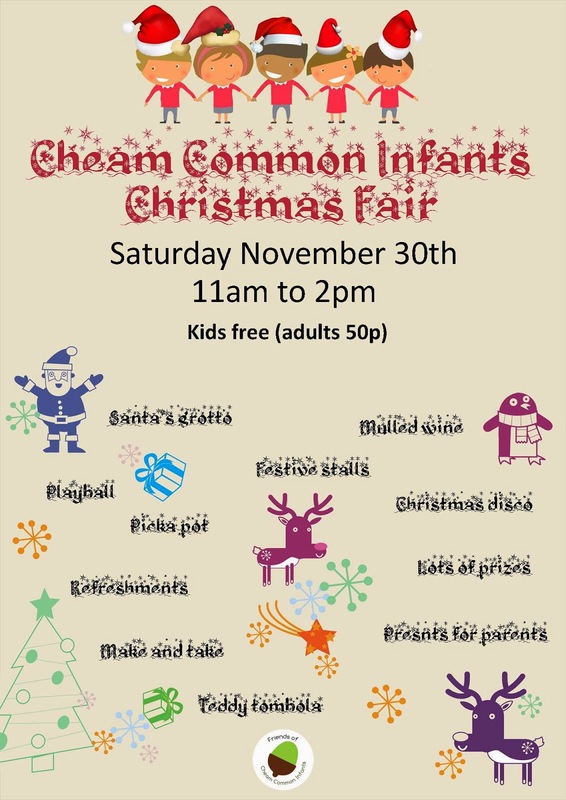 On the last day of November, Cheam Common Infants' School will be holding their Christmas Fair. The young-uns get in for free while the rest of us must surrender a small coin (or coins) to the value of 50 pence in order to gain entrance. 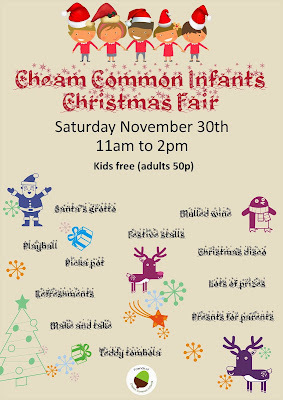 So go along and support your local school and enjoy some mulled wine while you're at it.